Let’s be honest. 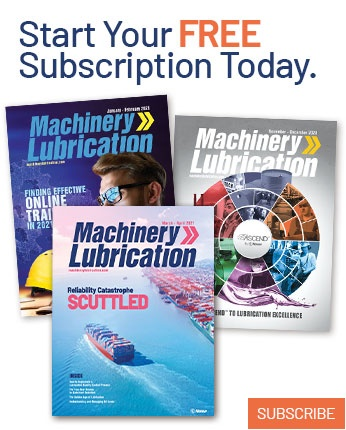 When manufacturing organizations launch initiatives for enhanced reliability through lubrication, there’s often one main driver behind their decision - money. However, there are many reasons to embark on this journey outside of the obvious. This article should help lessen the challenge of linking those reasons or benefits to a successful program and a favored outcome. The first tool most people use in their journey to acceptance from decision-makers and purse-string holders is a cost benefit analysis (CBA). The CBA can speak the language of managers and leaders. Return, investment and yield are some of the most useful vocabulary terms, as opposed to technical jargon like elastohydrodynamic, contamination control and ferrous wear debris. Most CBAs are centered around opportunity costs. These costs are currently being incurred but could potentially be eliminated or redirected if the planned improvements were implemented. They are quite easy to associate to dollar amounts, as enough data has been obtained to show what improvements in lubrication and reliability can mean to a company’s bottom line. 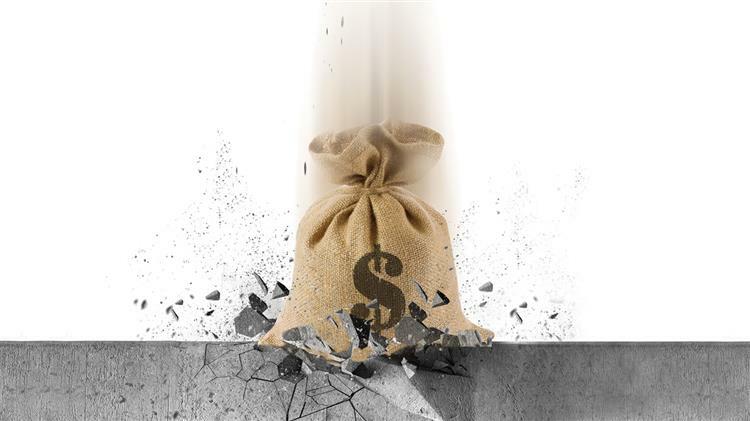 Beginning with the overall annual maintenance costs, which encompass nearly everything it takes to run the plant at full production for the year, you can whittle away until you find these lost opportunity dollars. More specifically, this annual maintenance cost consists of parts, labor, supervision, management, overhead, insurance, incidentals, etc. You also will want to include unscheduled downtime, excessive scheduled downtime, production de-rates and anything else that might cost the company money because the machines are not operating at 100 percent of their design capacity. From this total, you can start narrowing down the recoupable money. Start with the percentage that is due to repairs. This will exclude PMs, inspections and proactive activities. Then find the percentage of repairs attributable to the mechanical wear of lubricated components. Of these components, estimate the percentage that is the result of poor lubrication. Finally, determine the percentage that could have been avoided with the proper program in place. 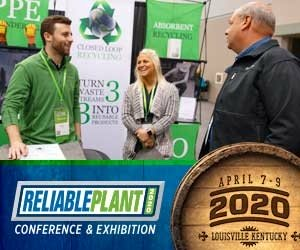 Based on industry averages, approximately 10 percent of a typical plant’s annual maintenance costs could be saved or redirected to other initiatives. This is a substantial amount of money for most plants, but it’s not the end of the justification. There is still more on the table. How do you put a value on a failure that you didn’t know was going to happen? The problem with only using return on investment (ROI) as a financial benchmark is that it can be extremely difficult to quantify the perceived benefit of the improvement. 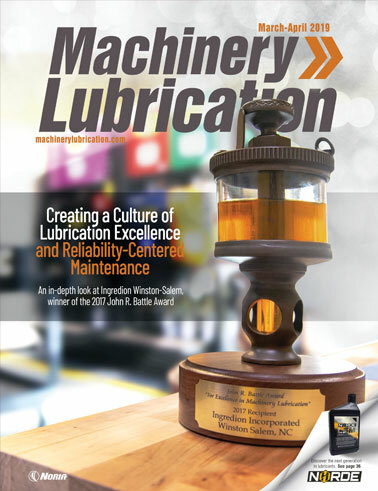 Many people think only about the value that lubrication excellence has for a reliability or maintenance department and do not consider how the implemented initiatives impacted other departments. For example, training employees leads to better retention, which requires less money spent on turnover and onboarding. Furthermore, how ROI is calculated differs from department to department and from person to person, making the usefulness of this metric considerably varied and unreliable. Not all lubrication improvements can be predicted with accuracy, such as implementing a condition monitoring program. There’s really no way to determine the amount of unpredicted failures you will have versus the ones you will be able to predict through oil analysis, which means an ROI using this number will be useless. Even worse, if you use ROI as your financial benchmark and your implementation does not result in the expected return, obtaining additional approvals based on ROI will be difficult. Quantifying returns can be challenging, particularly in a plant environment where key information needed to establish the metric is missing. This issue arises when the computerized maintenance management system (CMMS) does not accurately reflect or represent the maintenance tasks performed. So unless you are sure everything will be reported correctly, using ROI as your financial benchmark would be irrelevant to what is actually occurring in your plant. By thinking outside the box, you can come up with even more benefits of program implementation. How will the lubrication improvements impact sustainability programs or safety goals? These aspects are often overlooked, but in a world where consumers care how companies act, it could be in your best interest to include these types of metrics in your justification. The strategy for recognizing these returns comes down to tracking certain key performance indicators (KPIs). Some KPIs are straightforward and have a direct link to cost savings, but many are indirect and therefore more challenging to link the implemented process to the resulting savings. This may be due to a number of factors, such as a large time gap between the initiative and the cost savings, symptoms that mask the true root cause, or the completeness of the initiative. I recommend tracking or measuring everything you can. It is important to consider this before any significant changes are made, because you will need a reference point for comparison. If you don’t know where you started, it will be difficult to look back and see how far you have come. Long-term analysis is another strategy that is often disregarded. Many people have become accustomed to using short-term returns and the need for a net positive cash flow within only a few months. Implementation of a lubrication program can be a daunting task that requires a significant amount of time, money and energy. The results are not like flipping a light switch. They can take months or years to fully realize. Take a step back and try to identify how the initiative will improve reliability and the bottom line year after year. Shifting the culture to understand that an investment today can earn revenue long after the payback period will be a step in the right direction. While there are several ways an organization can benefit from a greater focus on lubrication and reliability, the greatest value generally comes from increased equipment availability. Machines that operate longer between outages produce more saleable product. This increase in production by more reliable equipment carries a greater profit margin. Even if the business is not in a sold-out capacity and additional volume is not needed, adjustments can be made in operating shifts to reduce costs. Increased reliability also results in a more stable process. Those in the continuous process industries will find that the incidence of quality losses due to unstable operation is decreased. This has a corresponding reduction in waste and scrap costs. Minor stops and speed losses are also lessened due to the stability of the process. If your program improvement initiative is to implement predictive diagnostic tools and performance analysis, consider the alternative and the costs associated with installing spare equipment to make up for all this lost production that you may not have even known you were losing. An organization with a focus on lubrication and oil analysis understands the operating condition of its assets, which provides enough advanced warning of root cause failure modes to enable “just-in-time” parts procurement. Spare parts inventories can be reduced, cutting carrying costs and releasing working capital for other uses. It’s not unusual for organizations to be able to decrease their inventories by as much as 60 percent or more as they implement a successful program. The financial impact of energy consumption is also frequently overlooked. According to a study by the U.S. Department of Energy, 23 percent of all electricity consumed is through electric motors, and 70 percent of that is in the manufacturing sector. A simple thing like the proper grease volume in an electric motor can account for 5-10 percent more energy consumption. Are you overgreasing because your training, written procedures or calculated routes are lacking? If so, you are leaving money on the table in the form of energy consumption. By emphasizing lubrication, oil analysis and reliability, your organization can capitalize on the investment in its physical assets, increasing output, decreasing costs and improving the expected lifespan of components, machines and the overall plant. Few investments a company can make will yield as many benefits as a strong focus on these key aspects.